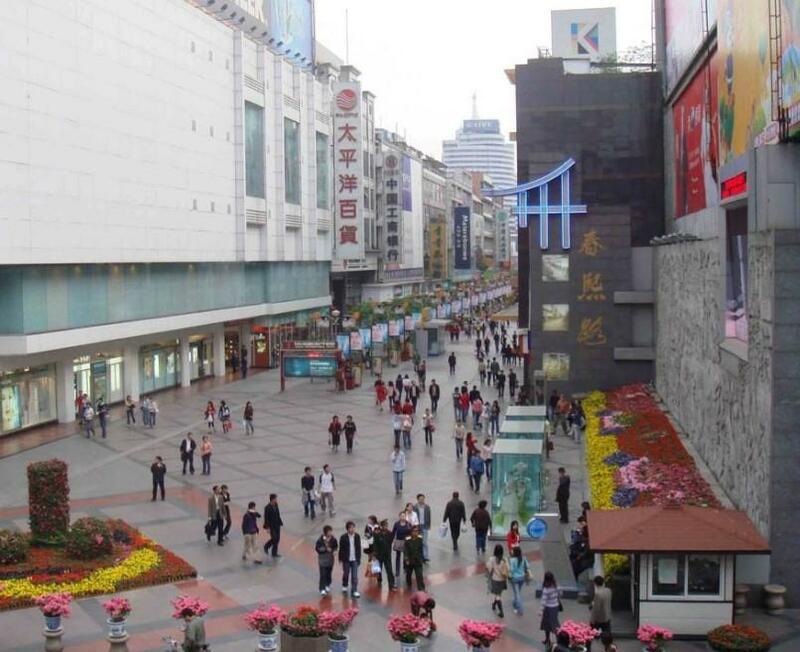 What is Chunxi Pedestrian Street? Situated in the heart of Chengdu, Chunxi Pedestrian Street is composed of an area east of Beixin Road(北新路), south of General Government Road (总府路), west of Hongxing Road(红星路), north of Dongda Street(东大街), South New Street(南新街), Zhongxin Street(中新街) and their frontage. The street is the most representative and bustling commercial Pedestrian Street in Chengdu. Covering an area of around 20 hectares, Chunxi Pedestrian Street(春熙路) was riginally built under the proposal of the then Sichuan Provincial Governor Yang Sen in 1924. The street was completed through countless difficulties. No matter when you visit the street, you will see many fashionable beauties from other places across China and even all over the world. With some 700 shops, the street offers a variety of boutiques, including mid-range, low-end and high-end shops or the local time-honored shops to you to enjoy window-shopping. If you are used to spicy food, the street is also a paradise for you. You also can visit the Zhongshan Square to discover the local life or take a break on the bench. In addition, the granite relief wall on the north side demonstrates Chengdu customs, depicting the eight landscapes of Chengdu during the Tang Dynasty (618 - 907): temple fairs, lantern festivals, hibiscus, rearing of silkworms, brocade, flower festivals, winemaking and much more. If you are planning to visit Chunxi Pedestrian Street for photography purposes, the best time to visit is by 10:00am or in the evening as there may be lots of visitors after 10:00am. The best months to visit is it is from March to May and from September to November as these months are not so cold or so hot. Chunxi Pedestrian Street is located in the center of Chengdu. Therefore, there are several options. Take Metro Line 2 and Line 3 to the Stop of Chunxi Pedestrian Street(春熙路站). If you are interested to try the popular local food in the street, it is suggested that you book 3 - 4 hours at least ahead or there won’t be seats available. Interested in visiting Chunxi Pedestrian Street on a Tour? Wendy Wei Tours offers a variety of different packaged tours as well as custom tours including Chunxi Pedestrian Street, among other attractions and destinations. To find out more, please visit our Tours page or Contact Us directly to find out more.